Question: Can you tell us more about your team? Answer: Our team helps employers define and implement effective reward programs to attract and retain the best employees. Our services include developing pay studies, conducting pay equity analyses, setting up pay structures to cover all positions in the company, and designing specific pay programs in executive compensation like short- and long-term incentive plans. Our team of approximately 15 professionals, located coast-to-coast, includes experienced senior-level consultants, associate consultants, and analysts. Q: What do you see as the biggest growth areas in your business in the next few years? Variable cash pay programs for executives and also for all levels of the organization that result in employees who are focused on adding value to the business by meeting and exceeding performance expectations. These programs create direct line of sight between results and rewards and an environment that discourages an entitlement mentality, while providing a good ‘sell’ to top candidates as well as a compelling reason to join the company. Market pay studies will help leadership ensure that their pay rates are competitive to market. Turnover is extremely costly to an organization, with some studies placing the cost at 6-9 months of salary due to the lost productivity, recruiting costs, and training expenses for new employees. Pay equity analysis; given the era, there is a compelling case for employers to address potential pay inequities sooner rather than later, as being proactive can help minimize employers' financial and reputational risks. 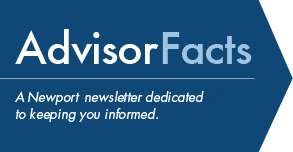 Q: What are the key points you want advisors to know about Newport Group’s Compensation Consulting service offerings? When clients ask their advisors for “deferred compensation” solutions, they often are looking for new short- or long-term cash incentive programs. We work closely with our non-qualified plan consultants to develop the best options for employers. Advisors can use our published “Compensation, Retirement and Benefits Trends” survey to provide information to their clients on trends affecting total compensation and benefits.